Check out this awesome new app. According to the developers this app was created for students that want to learn on the go. Just plug in your headphones and listen to the questions being asked. You can quickly respond in the following break. "NCLEX Listen and Learn" will help busy students study anywhere. NO books necessary. 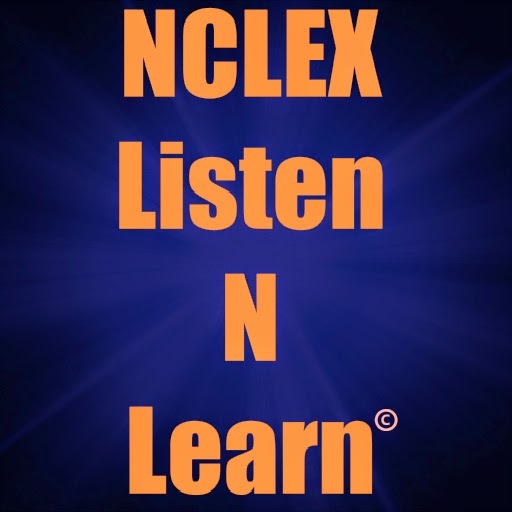 Click Here --->DOWNLOAD NCLEX Listen and Learn. Visit The Nursing's profile on Pinterest. @2018 The Nursing Daily, d.b.a. All Rights Reserved. Powered by Blogger. © The Nursing Daily | All rights reserved.